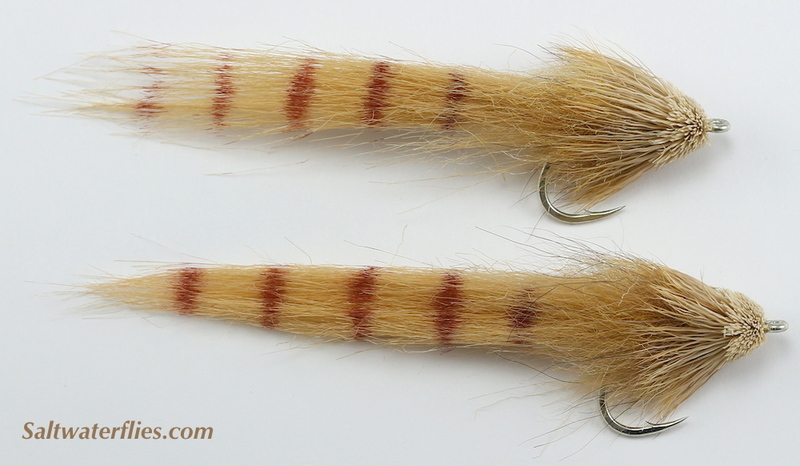 The Tarpon Slider or "Tarpon Mouse" is a true classic for a wide variety of tarpon fishing situations. Bouyant deer hair head keeps fly fishing at or near the surface where tarpon like to bite! 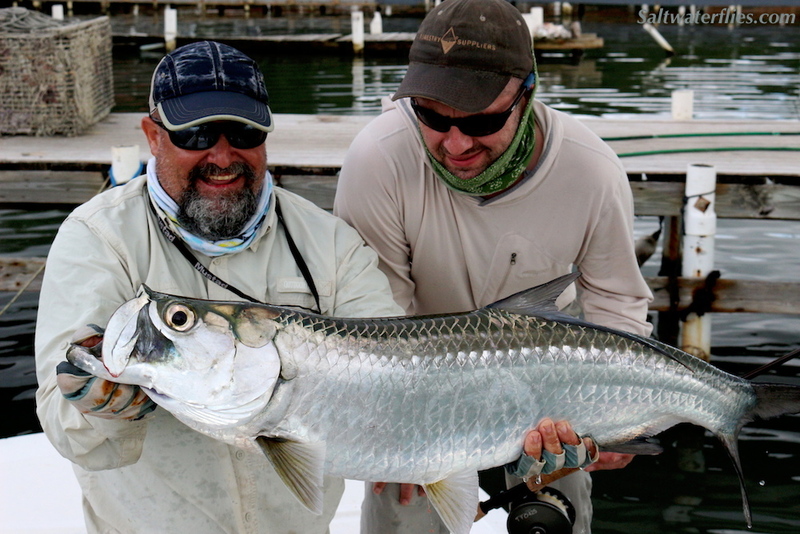 Tied on strong, super-sharp Gamakatsu SL12 hooks - this is one style of tarpon fly that we never leave the dock without. A very important pattern for day or night, we love the explosive strikes that often come to this style of fly! Classic black/red "Black Death" color shown above; more photos: Barred Chartreuse/Tan. All of these versions produced very well indeed for us on a recent trip to the Carribean. The Tarpon Slider is tied by Justin Pribanic on Gamakatsu SL12 hooks. This #1/0 fly is approximately 4 inches long (10 cm) - a size reference photo of the #1/0 flies can be seen here.